It’s been a fair old while since I last posted on this blog, but here lies solid proof that I’ve been beavering away like a busy bee in the middle of the desert… for my latest book has finally barged its way into the world! 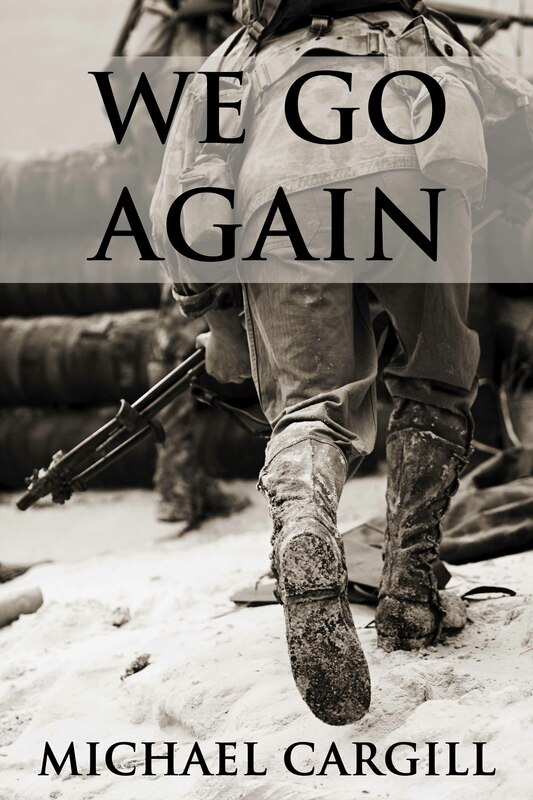 Set in WWII, We Go Again is a story that not only touches on the relationship between soldiers, but also offers an insight into the effects that war can have on a person’s state of mind. Of course, no war story would be complete without any action and this one is packed to the rafters with guns, tanks, planes, some French civilians… and a little birdy tells me that there’s even a smidgen of romance to be found somewhere within its pages as well. As ever I owe thanks to the modmins over on Goodreads and also to everyone who was kind enough to help me with the editing side of things. Anyone who is willing to leave a rating and/or a review on their own website, on Goodreads, or on Amazon is more than welcome to download a free copy using the links below. I’m also giving away five paperback copies, so anyone who wants to enter the draw can leave an email address in the comments section below. Not long after surviving the horrors of D-Day, Corporal James Bowden finds himself as part of a small group of soldiers marching through Nazi-occupied France. Supplied with orders that are vague and unspecific and surrounded by men he doesn’t know, will James survive society’s desire for justice and revenge?